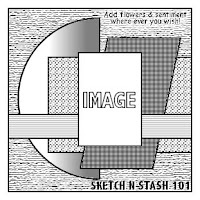 Hi everyone, another fortnight has flown by and it's time for our latest Sketch N Stash Challenge. 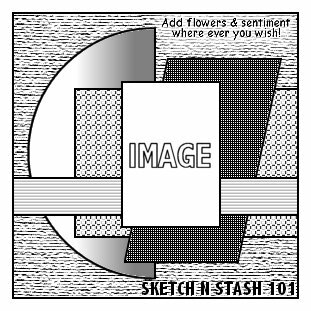 This time our sketch was designed by Doreen and it's a perfect one to use up all those scrap papers. We are lucky enough to be sponsored by Lili of the Valley, who are offering our winner a £10 voucher to spend in their shop, so what are you waiting for, start making that card! Do check out our DT lovely cards and see who was last fortnight's lucky winner. Well, you certainly all enjoy a free sketch choice, we had so many entries and it was my turn to choose the Top 3! You all certainly gave me lots of headaches trying to decide, but take a look at my final choice while you're over there. A beautiful card Chrissie.I just love that image...I can remember wearing my mother's shoes when I played "dressing up",lol. such a sweetie, the brown (kinda monochrome) touch is so nice together with the image. Great take on the sketch. 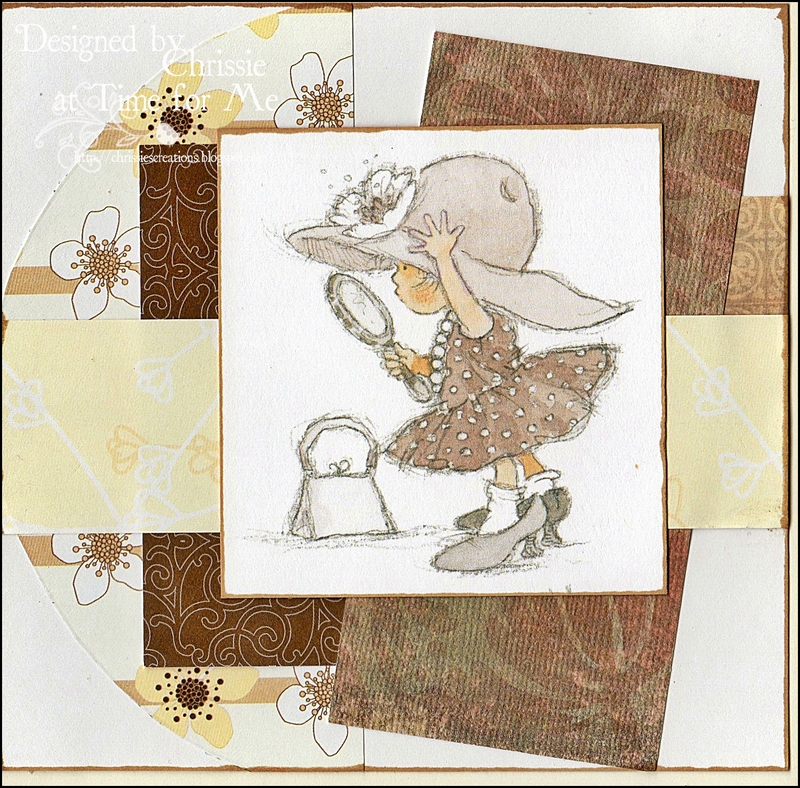 Oh Chrissie this is beautiful I love the wonderful design also the fabulous colours and gorgeous image a super card. This is gorgeous Chrissie. The colour scheme is lovely, all those 'scrap bits' of paper co-ordinate perfectly and the image is beautifully coloured. Lovely card Chrissie. I like the image and papers. The papers match the image so well. This is so adorable sweetie. Love the colours. Chrissie, that is quite a sketch and you did a beautiful job with it! I could see it getting quite complicated but your simple elegance is the perfect touch for a stunning piece! Hugs!